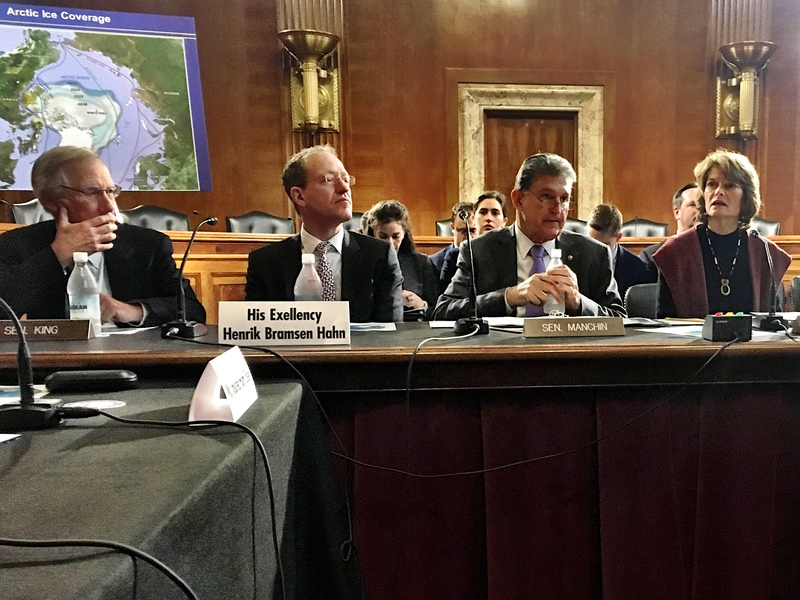 Sen. Lisa Murkowski hosted an Arctic round-table in the Senate Energy Committee room. Photo: Liz Ruskin. Moscow has been building its military presence in the Arctic and one Russia scholar says she’s grown increasingly concerned. While Russia’s Arctic ambitions worry regional experts, so do the lack of ambitions on the part of the United States. 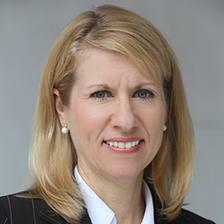 Heather Conley is Europe program director at the Center for Strategic and International Studies. She brought satellite photos to a forum at the U.S. Senate, to show a remote Russian island, 300 miles from Alaska’s northwest coast. Heather Conley is a Russia expert and Europe program director at Center for Strategic Studies. Photo: CSIS. The Arctic is sometimes called a zone of peace and cooperation, but Conley said Russia has shown in recent years that it’s willing to use military force to achieve political objectives. And, Conley said, the U.S. needs to “up its game” on its northern border. Malte Humpert at the Arctic Institute shares many of Conley’s concerns, but he said Alaskans shouldn’t worry about imminent attack. Humpert said the military buildup is in part about domestic politics for President Putin. “Russian leadership wants to project a strong image of, you know, Russia reclaiming its Arctic heritage,” he said. Russia views the Arctic Ocean as key to asserting power in the world, Humpert said. So does China. And the U.S., Humpert said, is essentially giving Russia the upper hand. “The Arctic Ocean is really the only ocean in the world where the Navy’s capabilities, the U.S.’s Navy’s capabilities, lack behind what the Russians have,” he said. At the Senate Arctic roundtable, several participants said America needs clear Arctic strategies, in diplomacy, science and security. And they wished for one official whose sole job was to pursue them.